An internal panel of the Department of Telecommunications (DoT) has recommended domestic VoIP (voice over internet protocol) calls offered by WhatsApp, Skype and Viber be regulated, in line with voice calls offered by telecom operators. A DoT report, made public on Thursday, however, said there was no case for prescribing regulatory oversight on these firms' overall operations. This is in line with demands by telecom operators such as Bharti Airtel, Vodafone and Idea Cellular that there should be similar regulation for similar services. There is regulatory arbitrage in the case of VoIP OTT services, which bypass the existing licensing and regulatory regime, disrupting the level playing field between telecom service providers and OTT companies. "The existence of pricing arbitrage in VoIP OTT communication services requires a calibrated public policy response," the report said. Facebook, which owns WhatsApp, said the DoT panel had recognised that regulatory requirements should not be placed on certain OTT application services, adding this rationale should be applicable to all VoIP services. All telecommunications and taxation policies should promote competition, spur innovation and foster increased connectivity, it said. The DoT report comes at a time when recommendations of the telecom regulator on this issue are awaited. Trai has issued a consultation paper on this and received about a million responses but is yet to come out with a view, as the government is yet to announce a new chairman for the regulatory body, following Rahul Khullar retiring from the post in May this year. Together, the DoT panel's report and Trai's recommendations will decide the final norms on net neutrality. The DoT panel did not favour Facebook's internet.org platform. It said until April 2015, internet.org users could have free access to only a few websites, and Facebook's role as a gatekeeper in determining such websites was seen as violating the concept of net neutrality. "Collaborations between telecom operators and content providers that enable such a gate-keeping role to be played by any entity should be actively discouraged," it said. Kevin Martin, vice-president (mobile and global access policy), Facebook, said, "The preservation of the core principles of net neutrality and the promotion of innovation and infrastructure within the context of India's internet access challenges are critical to bringing more people online. Internet.org acts as a gateway, as opposed to a gatekeeper, to internet access by breaking down the cost, infrastructure and social barriers that exist today." There is no clarity on whether or not zero-rated platforms offered by telecom players violate net neutrality. Bharti Airtel's launch of the Airtel Zero platform on April 6 had triggered a debate on net neutrality, with many experts saying this was against the principles of net neutrality. On the Airtel Zero platform, companies, including start-ups, can offer apps for free; the app maker has to pay the operator for customers' free usage (users don't have to pay any data charges). The DoT panel said, "There are a multitude of possibilities in designing tariff plans and it would not be possible to either pre-think all possibilities or determine its validity with respect to net neutrality principles. A conclusion on whether the tariff plans specifically breach net neutrality will have to be seen in the context of the design of the tariff plan and the outcomes it generates, including its ability to distort consumer markets." It proposed tariff plans, including zero-rated plans, be dealt with in various ways, including "ex-ante determination" and "ex-post regulation". Under ex-ante determination, the panel proposed telecom operators follow the current practice of filing tariffs before Trai, with the regulator vetting it in line with the principles of net neutrality. Through ex-post regulation, complaints on tariff plans could be dealt with on a case-to-case basis, through an adjudicatory process specified by the regulator. Imposition of penalties or financial disincentives could be considered if principles of net neutrality are violated. The DoT panel, however, said OTT services should be encouraged, as these enhance consumer welfare and increase productivity. It added telecom or internet service providers shouldn't restrict the ability of the user to send, receive, display, use, post any legal content, application or service on the internet. The panel's report also said legitimate traffic management practices might be allowed, though these should be put to test against the core principles of net neutrality. In line telecom operators' demands, the panel recommended OTT players be brought under regulation to comply with norms pertaining to national security. 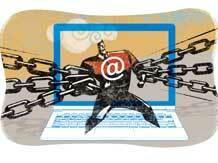 The Internet and Mobile Association of India welcomed the committee's recommendations on net neutrality. "Zero rating and other pro-access programmes have the potential to dramatically expand internet access in India and bring more people online, but the report fails to fully recognise the value and potential of such programmes. Not all zero ratings are violating net neutrality principles and in countries such as India, where internet penetration is very low, such services could help in faster proliferation of broadband," it said in a statement. There were enough regulations on internet telephony and there was no need to bring about a licensing or revenue-sharing arrangement between OTTs and TSPs, as this would disrupt VoIP and skew innovation, it added. In January this year, DoT had constituted a six-member committee to look into the issue of net neutrality, which means all internet sites being treated equally, without any discrimination in terms of speed and cost of access. Rajeev Chandrasekhar, member of Parliament, said the report on net neutrality was vague, ambiguous and failed to define net neutrality. "The DoT has blindly accepted the level-playing-field argument of telcos to justify the regulation of VoIP apps. An open, fair and accessible internet is crucial for Digital India." Pranesh Prakash, policy director at the Centre for Internet and Society, however, said, "It is a very welcoming document, which balances the multiple interests of stakeholders involved in net neutrality…It has said the financial data of telecom companies do not back claims that these are bleeding money due to OTT services. The recommendation of introducing a complaint mechanism for zero-rating so that it doesn't hurt customer interest is welcome." In a research note, IIFL said while the DoT pushed for net neutrality, it made a distinction between OTT voice service providers and other OTT players. The DoT advocated a level playing field between telcos and OTT voice players (including bringing them under a licensing regime), it added. "The DoT has taken a pragmatic view and we expect regulation around OTT voice service providers." The DoT panel has invited suggestions and comments on the issue till August 15. According to reports, voice calls offered by telecom companies are about 12.5 times more expensive than those through OTT services; in the case of messages, the difference is 16 times. For a one-minute phone call, a customer is charged about 50 paise, while a one-minute call made through the internet costs four paisa, according to Trai calculations.